Emily is leaving in about a week to take a new job. She will be leading camping trips around the country. Just her, a van, a duffel bag, and a bunch of tourists. She will be gone for months. I will miss her, but I am proud of her for getting such a cool job. 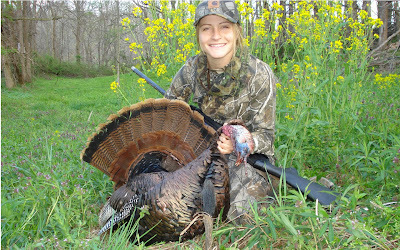 Before she goes, she has lots of packing to do and family to see, and she went turkey hunting with Dad. I went turkey hunting with Dad in college, it was more fun than I ever would have imagined (which is why I was 18 before I went for the first time). So here is Emily with her Turkey. 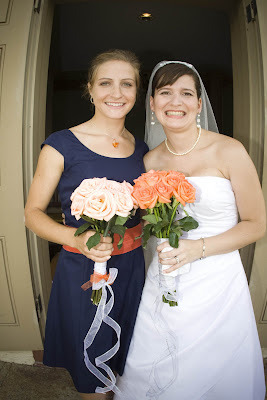 And so she doesn’t kill me for posting this on the blog, a picture of us all dressed up at my wedding. Love you sis, and I will miss you.